Be the alumni association everyone wants to join. Let’s face it: Alumni association membership can be a tough sell. The benefits are vague, the cost is high, and there’s a general lack of understanding about what it means to join. MSM has worked with dozens of universities to effectively increase alumni membership. We know how to get to the heart of your graduates and inspire them to join your alumni association. Many institutions are stuck in an alumni communications rut. Outdated and expensive marketing tools like direct mail are reaching fewer and fewer of their targets, as audiences continue to shift more and more of their attention to social and mobile media. E-newsletters – once the wave of the future – are going unread or being skipped over by busy grads. With advanced, mobile friendly communications, MSM can get targeted messages in front of potential members and make them pay attention long enough to consider the true benefits of membership. By tapping into the mountains of data available on Facebook, MSM’s alumni membership programs reach out to grads you know — and those you don’t. We build fun, enticing membership pushes that combine a simple giveaway with a timely theme for maximum relevance and impact. Once we’ve got the attention of your alumni, they’ll listen when we tout the benefits of joining. Want to learn more about how we can help your institution engage more alumni? We’d love to chat and learn about your alumni marketing challenges and goals. When we meet, you won’t get a sales pitch, just a lively discussion about alumni marketing strategies. 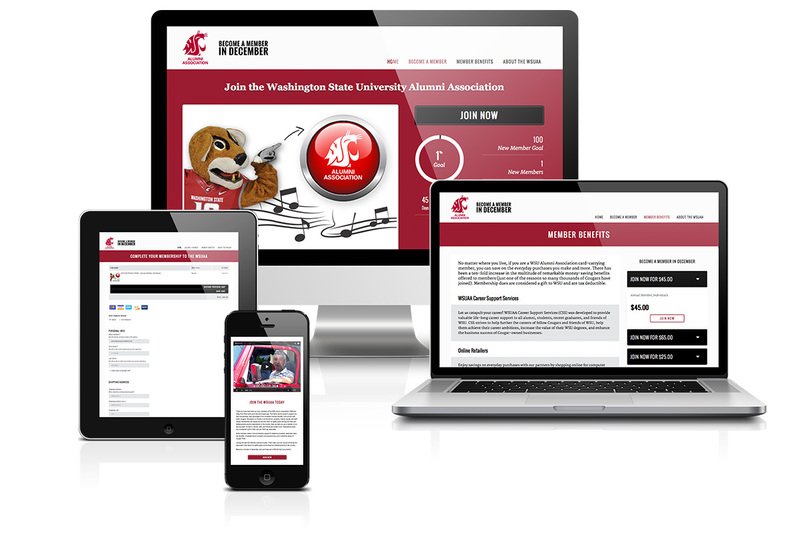 The Washington State University Alumni Association has some fantastic benefits that they wanted to bring to the attention of non-members. 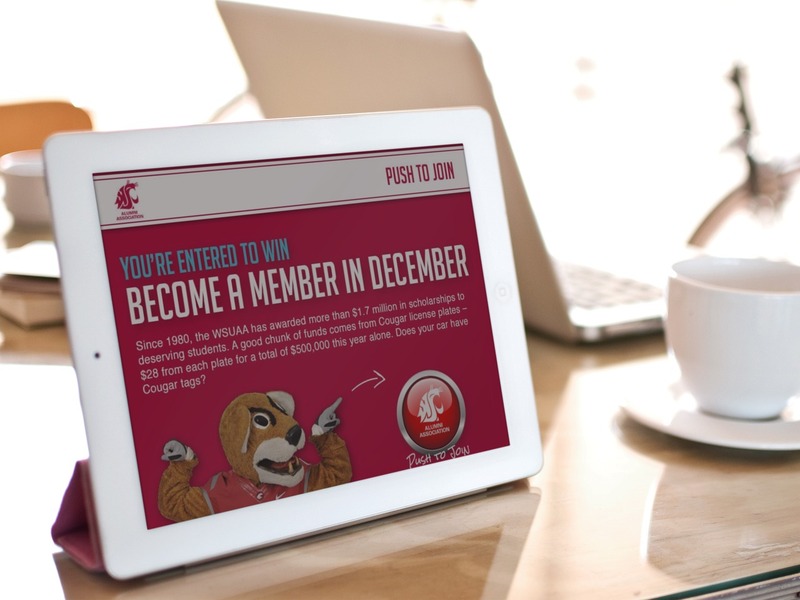 To increase alumni engagement and membership their Become a Member in December campaign used daily giveaways (including an “easy button” that played the WSU fight song) to share each of the great reasons to join the WSUAA.